Since the death of Steve Jobs and the release of his biography a lot of ‘geeks’ are thinking about how to make their own mark on the world. This is no bad thing but there are some serious dangers in this kind of thinking. At the end of March I will turn 40. With this milestone approaching I have been spending time looking back at my life to date and also looking forward at what is to come. In the words of Steve Job’s I am wondering if I have “put a dent in the universe” and what I can do over the second half of my life to make a real difference. To be fair to Mike, I think the point he was trying to make is that nobody is forcing you to work for a startup so don’t complain, just move jobs. Mike Arrington seems to be suggesting that if you want to “make a dent in the universe” you had no choice but to work in the Valley and work to the point of exhaustion. However, there was also a more sinister message coming through his piece that disturbed me deeply. He seemed to be suggesting that if you want to “make a dent in the universe” you had no choice but to work in the Valley and work to the point of exhaustion. In other words if you want to change the world you have to kill yourself doing so and that right now there was only one spot in the world where that was possible. I could not disagree with this philosophy more. With that in mind I want to share some of my thinking about how to impact the world in which we live. I hope it will be useful for those starting out in their careers but also for those like myself considering where to go next. Let’s begin by asking what it means to put a dent in the universe. What does it mean to put a dent in the universe? With only one life to live and one chance to change things I wouldn’t look to Silicon Valley and their startup culture as the best place to make the world better. We all want to change the world. We all want to leave a legacy and be remembered long after we are gone. Many of us also have a desire to leave this world a better place than when we entered it. As ‘geeks’ we look to technology as the way to do this. That is perfectly understandable but I think it is important to put this in perspective. Technology does have the potential to change the world. As somebody who grew up without the internet that is blindingly obvious. However, with only one life to live and one chance to change things I wouldn’t look to Silicon Valley and their startup culture as the best place to make the world better. If you want to use your skills to make the world better working for a startup is not the best use of your time. 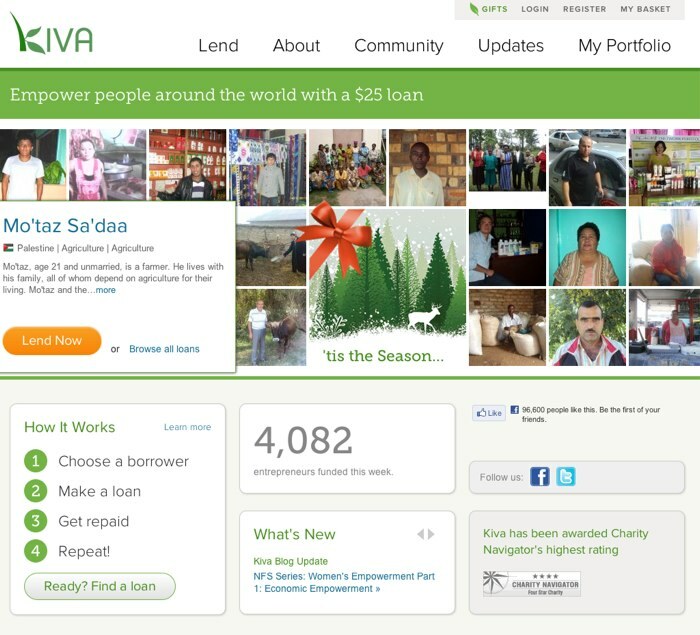 With the exception of startups like Kiva, few change the world for the better. Does working for a startup really bring glory? Promises of glory is a classic way to get young naive people to do all kinds of idiotic things. Admittedly you maybe less concerned with changing the world for the better than just having an impact which leads to fame and glory. If you can’t get on the x-factor then maybe working for a trendy startup is the next best thing. Setting aside the fact that promises of glory is a classic way to get young naive people to do all kinds of idiotic things, I am not sure that working for even the most well known of startups really brings much in the way of long term glory. There is only the briefest of windows when working for a startup brings recognition. When it is too small nobody has heard of you and when it is too large you are just one of hundreds of employees. Unless you are a founder this is somewhat of a dead-end. I remember being told by a New York investor that I would be a millionaire by the end of the year. Even then I laughed in his face. Looking back at the dot com boom of the late nineties is a good source of proof that startups bring little long term satisfaction. Like many I worked for a dot com that eventually floated on the NASDAQ for $26 million. I remember being told by a New York investor that I would be a millionaire by the end of the year. Even then I laughed in his face and I was right to do so. If I told you the name of the startup you would never have heard of it. In fact you would have heard of very few of the startups which dominated then. Even the likes of Facebook ultimately come and go. It is the nature of technology to be superseded and replaced. There is an argument to say there is something noble about working on a project that will impact potentially millions of lives even if you personally are unheard of. I would agree with that. However, what I object to is that it is not the only way. There are lots of ways to make a dent as a web designer. You could help promote best practice, get involved in formulating the future technologies that shape the web or take part in the open source movement. There is nothing wrong with wanting to change the world by working for a startup. However, it is not your only choice. Even the most popular startup used by millions of people changes very little on the grand scheme of things. If you want to change the world for the better then go work on the website of a charity. I have been privileged enough to work with charities who rehabilitate wounded soldiers, help victims of AIDS, relieve poverty and defeat legislation that would damage our environment. These charities do more good in the world than the vast majority of startups. I have been able to increase the funds available to them through increased online giving and that brings me immense satisfaction. In fact there are lots of ways to make a dent as a web designer outside of startups. You could help promote best practice, get involved in formulating the future technologies that shape the web, take part in the open source movement. The list could go on. Best of all none of these things require moving to the Silicon Valley or keeping venture capitalists happy by killing yourself to earn them money. Too many web designers have been sucked into the thinking that their chosen career is a ‘calling’ that demands all of their life. Of course there is also a lot you can do outside of the web to make your dent in the universe. Too many web designers have been sucked into the thinking that their chosen career is a ‘calling’ that demands all of their life rather than a job that enables them to do stuff outside of work. Don’t get me wrong, I love what I do but it is not my life and certainly not what I build my self worth upon. I put a dent in this universe in lots of ways that have nothing to do with the web. For example I nurture, love and support my son so that he will have the best chance possible to change his world as he grows up. I do the same for my wife and those I meet in my life. I also ran a youth group for a number of years equipping the next generation to make a difference. Finally, I support numerous charities that are making a bigger difference to this world than any amount of coding on my part could ever achieve. I say this not to boast but to encourage you to look beyond the bubble of the web world and get a more balanced perspective. The web isn’t the only way to make a dent, its not even the best and its certainly not the only one we should participate in. Finally I want to turn my attention to the other common misconception of making a difference in the world; that you have to kill yourself to do it. Working long hours is not a badge of honour, its a sign of stupidity. When you are young it can be fun to work through the night especially if you are working on something you love. However, be careful. There are two dangers in this approach. And make no mistake, bartering away your “one and only youth” working 100-hour weeks on a web site for the promise of a big fat carrot on the end of a stick 80 million lines long, dangled by a fat venture capitalist, who will make 3x or 10x or 100x more than you, in the vanishingly unlikely scenario that you “succeed”… is clearly stupid. It is in the interest of startup founders and investors to drive their employees long and hard to get the most money from you. Don’t fall for it. Second, even if you are working on something truly worthy, working long hours is ultimately counter productive. The longer hours you work the less productive you become and in the longer term you will damage your health. Working long hours is not a badge of honour, its a sign of stupidity. You are damaging your health, long term mental well being and undermining your ability to work smarter. I work less now than I have ever done in my life but I produce more. I have done the long hours thing. It doesn’t work. You put more in but proportionally you get less out. When you are young you can endure the extra hours for a while. However, as you age you discover its impossible to maintain the pace but don’t know how to work any other way. If this is allowed to continue it will destroy your relationships, happiness and health. Instead of working longer hours learn to work smarter. I work less now than I have ever done in my life but I produce more. I am more efficient, organised and focused when I do work. That is because I am rested and healthy. I have learnt that my time not working is as important to my success as the hours in front of the computer. So forget this crap about working long hours. It is simply not true. In fact see it as a challenge. See how much you can get done in as few hours as possible. I realise this post has been a bit of a wandering rant. I apologise for that. However, the culture that has grown up in the web world of obsessive working practices that encompass almost religious fanaticism and unhealthy hours, disturbs me deeply. I am concerned in particular for those starting out in their careers. I have seen too many of my friends burn out. I don’t want that to happen to the next generation. Ultimately that is bad for our industry and will prevent us from making that dent we all wish to see.